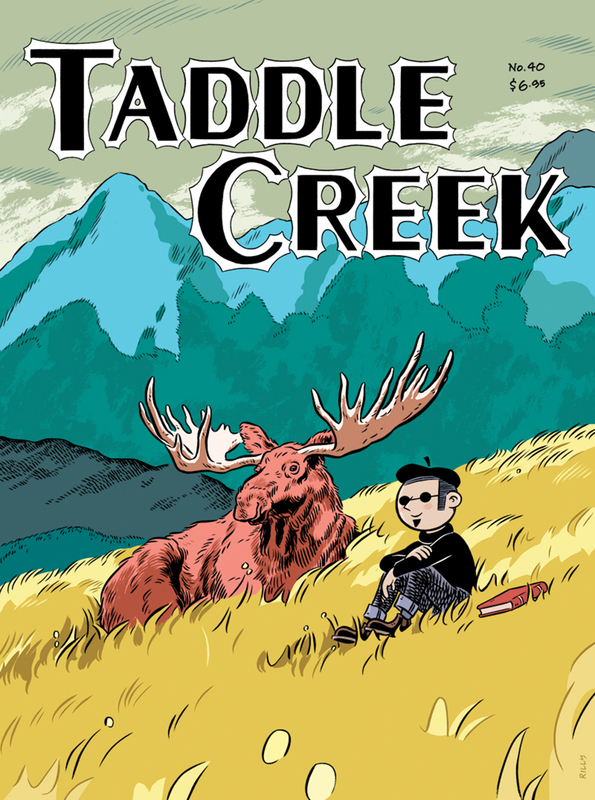 Ethan Rilly, one of Taddle Creek’s regular illustrators, said he had Alberta on his mind while creating the cover image for the magazine’s twentieth anniversary issue (No. 40). “I was set to fly there right after this cover was done, so my anticipation for hiking in the Rockies must have carried through,” he said. “I’ve only ever lived in two cities, back and forth between Toronto and Montreal, so I sometimes worry about having a myopic view of Canada. But Western Canada is beautiful.